I’m having one of those mornings when I thought I thought I was going to be super duper busy, and then it turns out I’m not! So I’m sat here reflecting on what I could or should be doing! The garden needs weeding, the grass needs mowing (but it’s too wet, we had amazing thunder storms last night), the teachers cards need making……. But what have I just done? Spent the last 20 minutes on Pinterest of course! There is so much I want to make. There was a beautiful flower garland that would look great in Yarnart Begonia. 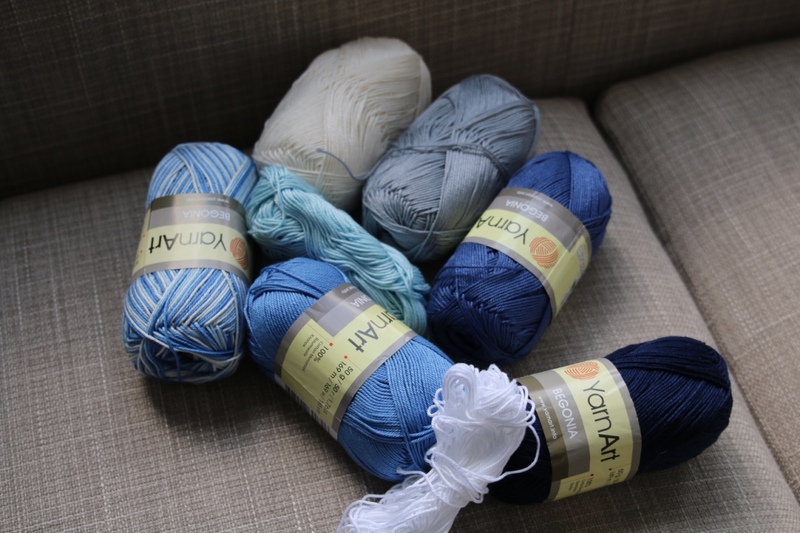 No pattern, but I’ve already picked the colours – now I just need to design it. 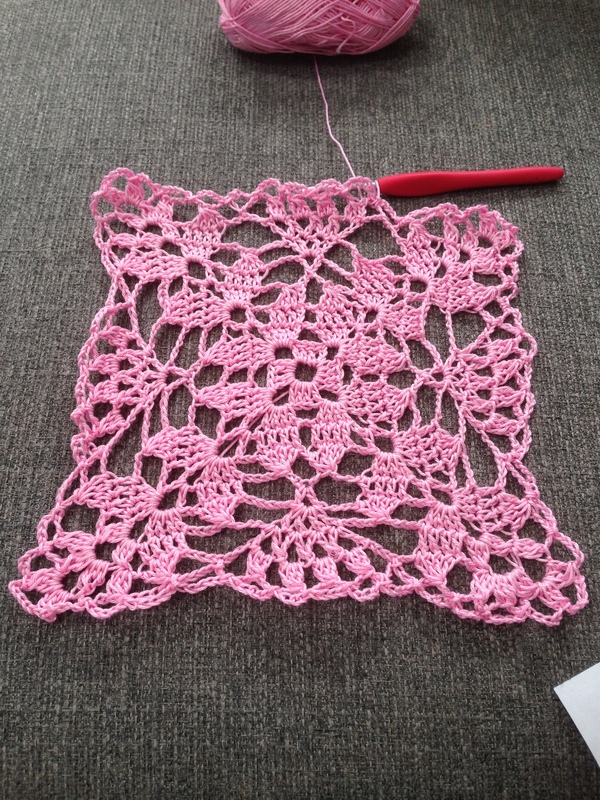 There’s the new Kat Goldin stitch she’s published on her blog – Crossed shell stitch. Oh – just to make a little square or 2! 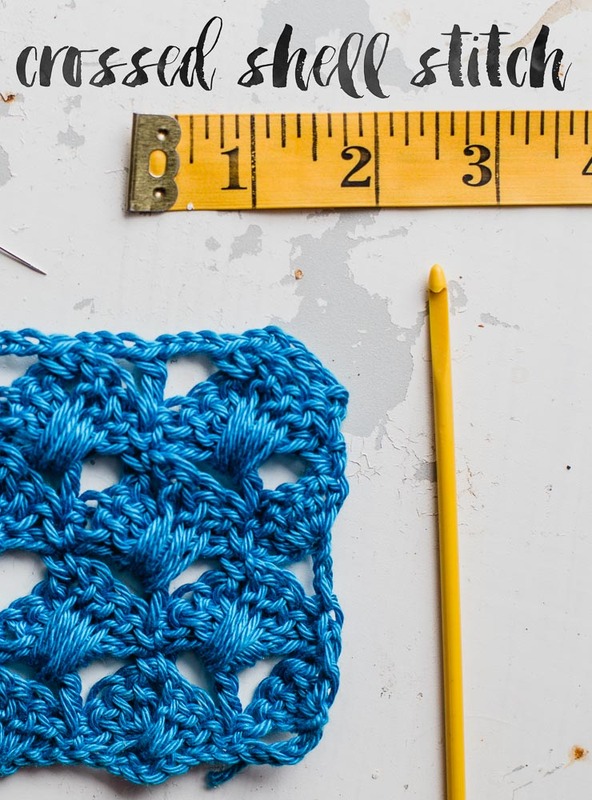 Then there’s ripple stitch – still dying to try that out – full instructions are on Attic 24’s blog. Maybe I could just spare an hour on this…..
Then a friend sent me this cool picture….. DIY store visit needed for that one……. And then I have to come back to reality….. 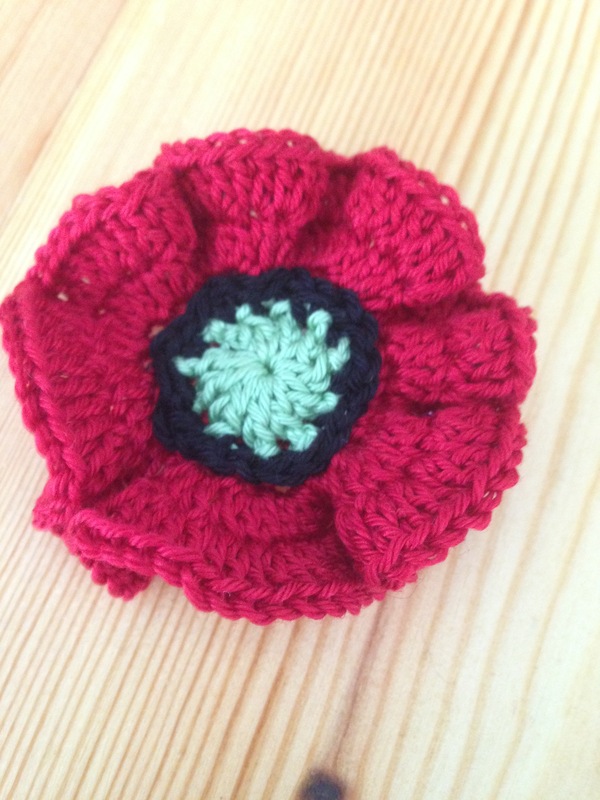 I made a poppy for one teacher – she’d been commenting when I made some and sold them for the British Legion last year. 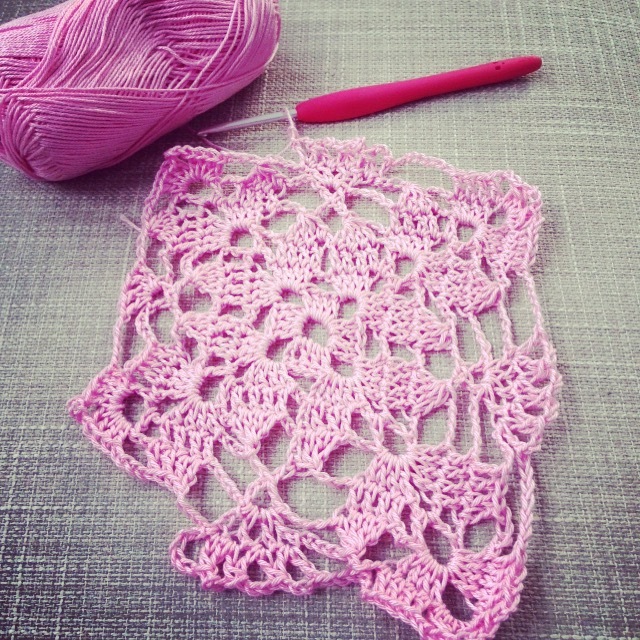 This one is done in Yarnart Begonia – size 2.75/ 3.25mm hooks and it feels and looks delightful! 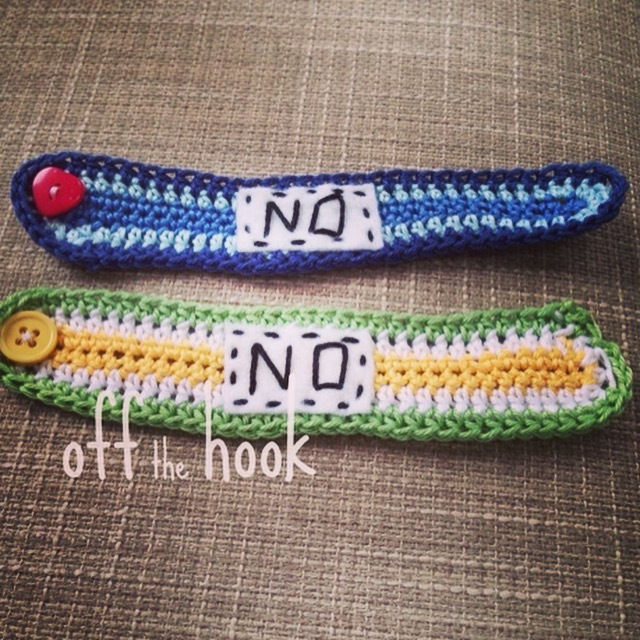 And I finally finished 2 ‘No’ bands fora little girl who uses sign language, and taps her right wrist to say ‘No’ – so this gives her a few more choices with her outfits. 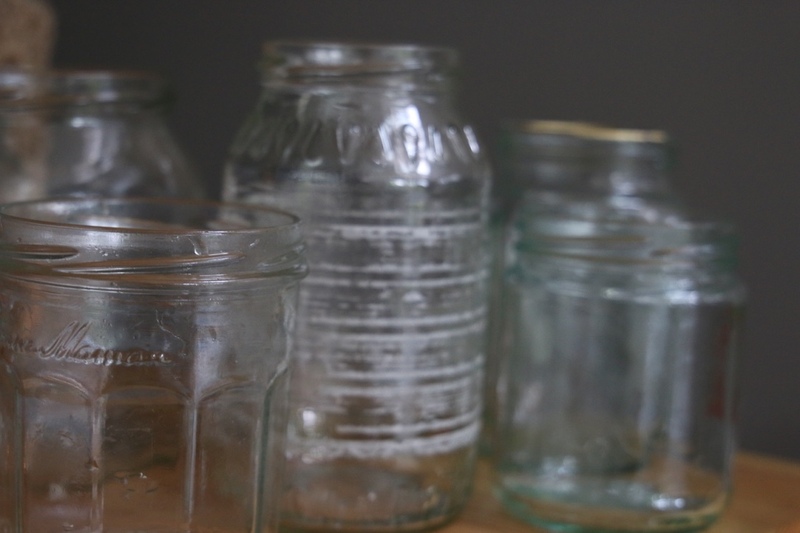 And then there are the jars……. 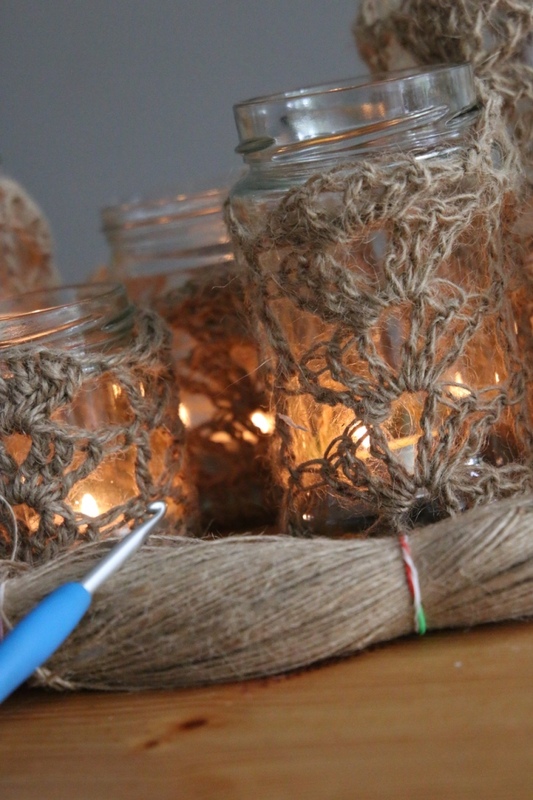 those jars……… for the wedding. They are made using 1mm jute string from ebay. It’s nasty on your hands – but they do work up pretty quickly. 6 more to go…. So what will I do today? Watch this space and see! 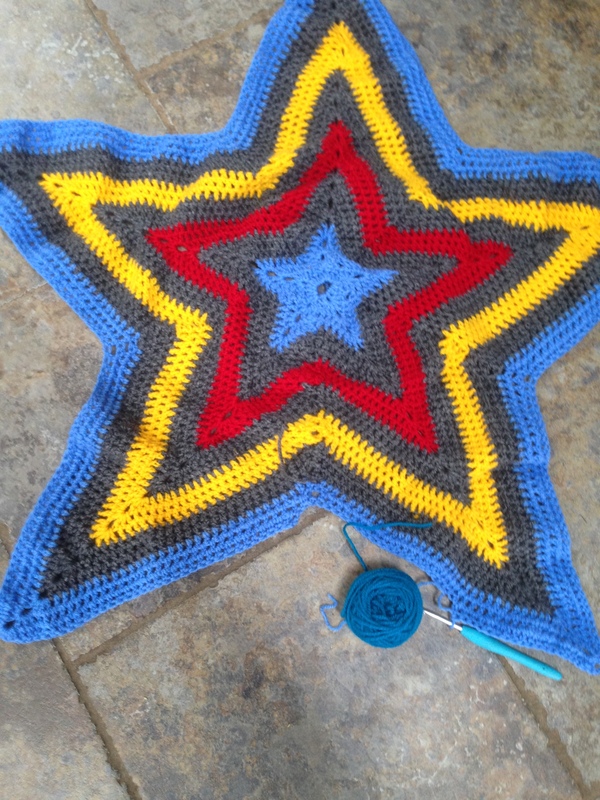 why not use a different shade of blue to finish the blue round of ur star ghan – it would have that ‘shaded effect’ 🙂 – mucho better than frogging it too! Sounds like you’ve got a lot of stuff to work on. The poppy and the star look fantastic. Thanks. I love the Poppies – I made 30 of them last year, but all in polyester yarn. This one is so much nicer!